How do you get customers to scrimp elsewhere so they can splurge on your offering? Offer a relationship that gives them a better experience, reduces stress, and increases the value they get. This type of relationship leads to customer equity. Customer equity leads to higher profits, greater lifetime value, and the power of word-of-mouth. Yet, most businesses are compelled to compete on price and convenience. Why? They have no systematic process for building customer equity. The basis of these relationships is trust. However, according to the 2006 Edelman Trust Barometer, customers rank most companies, executives, products, and marketing in the bottom one third of the trust scale. Many business people feel they stand behind their products and therefore are trustworthy. Guess what? Customers expect quality products and services. This only leads to trust in the product, it does not add trust or value to the relationship. 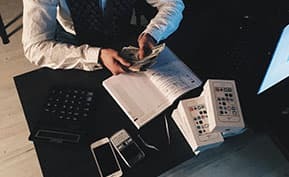 Trust and relationship value develop when vendors clearly show that they are genuinely interested in helping customers get more out of the experience. This means that the company must have a focus other than making the sale. They must give the customer hope before the sale, treat them fairly in the sales process, help them make an informed decision and, most importantly, help them gain value when they use the product. Think about it. Customers experience value when they consume a product. Pret-a-Manger is a highly successful sandwich shop in the United Kingdom. They use only the highest quality ingredients, make everything fresh each day, and, as you might expect, charge more than the typical sandwich shop. Their sandwiches do taste great, but that’s not the whole story behind their phenomenal success. They ensure the customer has an emotionally compelling experience. After all, emotions are what bring the customer back time and time again. Of all the ingredients we use, our avocados have to be the most temperamental. Treat them badly and they just don’t taste right. That’s why they have a huge ripening room all to themselves and why our avocado chap turns each one of them by hand, everyday. It makes sure they ripen evenly and that every bite of avocado is a perfect one. Reading a poster like this is emotionally motivating – “I want an avocado on my sandwich,” it prompts the customer to think. It increases the likelihood that the customer will enjoy the experience. It gives them something to remember and it gives them something to talk about back at the office – evangelizing Pret-a-Manger and avocados in the process. Pret-a-Manger clearly signals a genuine interested in the customer’s experience. Apple stores reached $1 billion dollars in sales faster than any retailer in history, and they did so without discounts and incentives. What they did is focus on the customer. First, they make sure all the products on display in the stores work. Customers are encouraged to experience them. If they get confused or frustrated, the knowledgeable staff is there to assist them. Right in the middle of prime selling space is a classroom. Here, both prospects and customers can learn how to get the most out of the product – before and after the sale. Along one side of the store is the Genius Bar, staffed with technical experts who help customers figure out why their product isn’t working properly. Sometimes the problem is simply that the customer was not using the product properly, or it was configured wrong. In either case, they are shown how it should be done. So far everything is free. For a small annual fee, customers can sign up for Pro Care. Apple completely configures the customer’s new computer and peripherals, and keeps them running smoothly all year. They also develop customized one-on-one training sessions to suit each customer’s knowledge level. What’s in it for Apple? A customer base that knows how to get the most value out of their product, as well as one that is committed and loyal, and values what the relationship delivers. These customers are also passionate advocates. Wow, a relationship where both parties win. In an upcoming issue of The CRM Buzz, I’ll discuss how to Put Your Offering Into Context – One Meaningful To Customers. John I. Todor, Ph.D., is the managing partner of The Whetstone Edge, LLC (www.thewhetstoneedge.com), a customer-centric consulting firm that helps clients build customer equity by delivering compelling experiences. 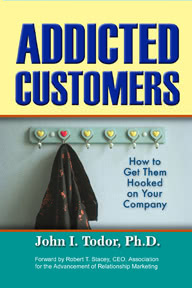 John’s newest book, Addicted Customers: How to Get Them Hooked on Your Company (www.AddictedCustomers.com), spells out the psychological principles that get customers engaged, and business strategies that put these principles into action. His speaking and consulting clients range from small independent businesses to multi-national enterprises around the globe.